This review is perhaps the most overdue review that I will ever write/type in my whole entire life on this site. 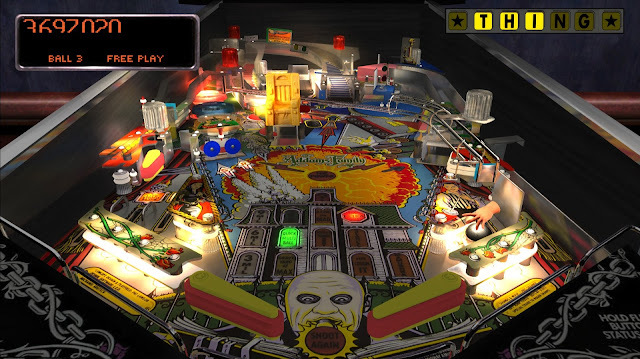 Originally released onto the Xbox One back in late 2014, The Pinball Arcade was a game that released to not that much of a fanfare when thinking back, with only massive pinball fans taking any sort of notice of it when it did. Fast forward a stupid amount of time sitting on my Xbox One, saw me one weekend a month or so ago seeing it and remembering that I never actually got around to doing anything with it when I first got the game, which in part was down to the weird price structure the game has. But I will save you from the ton of excuses as I sit here full of guilt, knowing I should have done something back then and I didn't. So before we get going with this review I would like to say a massive sorry to the guys at Farsight Studios who kindly sent that code over way back then. I know I'm super late with this review, but hopefully it will be worth the wait (it so won't, I'm sorry). Let's get some boring price facts out the way first, otherwise this review will be more about me explaining things and less about the game itself. As I mentioned above, The Pinball Arcade has one of the most confusing price structures my tiny brain has ever seen. Before typing this up I did what any sane man would do and contacted The Pinball Arcade guys on Twitter to help me out a little. So here is my attempt at breaking things down for you, so you hopefully understand it better than I did to begin with. The Pinball Arcade starts out life as a free download, which can be added to your Xbox One queue by clicking here. This download will download the base game for which you can add more tables to at any time, as well as giving you a nice free table called Tales of the Arabian Nights to try out. Now that's the free part out the way, but what if you want to add more tables? For a single basic table you can expect to pay £3.99/ $4.99 to add it to your collection. What does basic mean? By basic I mean a table where you're just there for the fun and don't really care about having the option to dig around the table a little and mess with some settings. Look at this as more of a "just want to play it" setting rather than the basic term that is used. Each table also has a Pro version available, which cost a little more but allows you to dig into the table and mess around with some of the settings and so on. Something wasted on me if I'm being totally honest with you. This way of play can be yours for £6.39/$7.99, which like I say, a bit more expensive, but worth it if you're a pinball nerd (said in the nicest possible way). All tables also have a free trial to them which allow you to try them out before you chose to buy them. The table lasts until the first high score is reached too, so a decent chuck of play time to let you make up your mind. Want to buy tables in bulk? Then we have the two seasons options available to you, once again both in basic and pro form. Buying a season gives you all the tables currently available in that season or if it is a season yet to be finished you will get those new tables when they become available. At the current time the game is up to season five, which I believe still has some tables to be added to it in the future. All seasons from one through to four are fully stacked already. 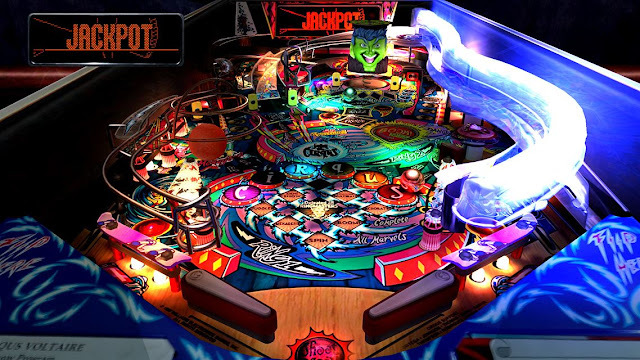 You can find a current list of all tables via The Pinball Arcade website here.Be warned though, some tables listed on the website are not on the console versions yet. You can find a current list of tables on the Xbox One at the bottom of this review). So once again the basic season will of course come in cheaper, costing you just £23.99 for all the tables in that season, with the pro version of the season costing a pretty expensive £31.99, which I think in all honesty will only be something massive pinball fans will take a look at.With all the prices out the way it's now time to look a little closer at the game itself. The Pinball Arcade plays how you would expect it to, what with Farsight Studios going for the more real approach over the more arcade style pinball games out there such as Pinball FX/FX2 from the lovely guys at Zen Studios. 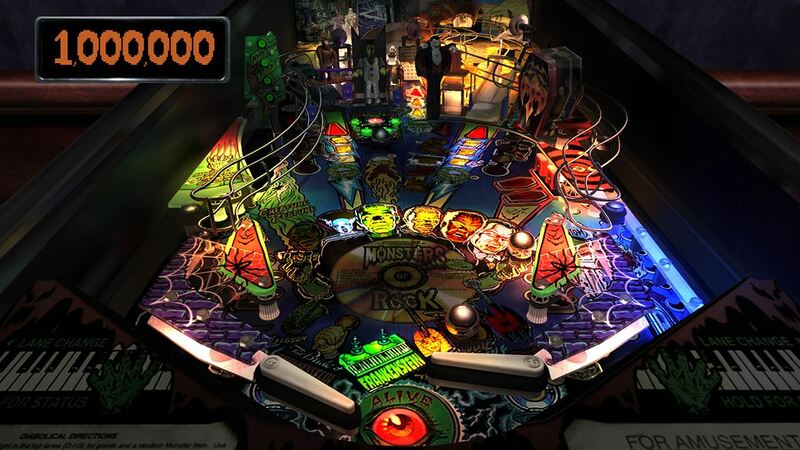 If you played that game but never given Pinball Arcade a look, then you're doing your pinball life all wrong. 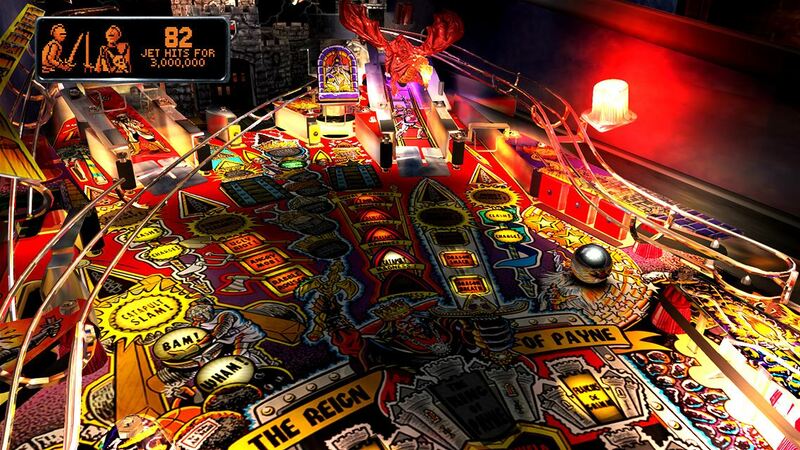 The tables in Pinball Arcade are not something out of imagination like you you get in FX or FX2, but more a team choosing a table that exist in real life and making that table of choice its digital twin brother. Sound effects, flashing light patterns, even mini games, Farsight go out of their way to make this as close as they can to playing the real thing. Now while it's great that both pinball enthusiast and "outsiders" like myself can look and play on some iconic tables that have come out over the years, this can also work against the game as well when it comes to tables of a certain age. While an enthusiast will love getting to play a table they perhaps know a lot more about the average guy/girl, the guy who is there just for a bit of fun will find some older tables a bit boring with not much to do on them. This can also be the case however for those that have released much later too. As while finding some old tables on the game that I've really enjoyed, there have also been some recent ones that were soon turned off after loading up just because they were pretty dull. It's because of this then that I would urge you to study up and find out what tables are in a season before you pick that season up. As no one wants to pay a high price for a few good tables and the rest being pretty standard. I'm not saying the work put into these tables are sub-standard, but more some tables haven't aged that well and may not be sit well with those who are not there for the nostalgia. The last sort of down point I would make on the game is that of the dated menus. Playing the game now rather than around its 2014 release, the opening menus where you pick what table to play now feels very cumbersome and out-dated. Having the option to sort tables into say seasons or most played would be a great help, and just help make it a more welcoming place to all players. Also cut out the sound effects kicking in for each table as you scroll through and just add a bit more information on the table before having to click to load that table up. Having to scroll down in a slow manner as a sound effect kicks in for each table can just be a little annoying, but all is needed is just a little tweak to it to make it more welcoming place and much more accessible. Now the plan here was to cover as many tables as I could in this review, but the true fact is with all five season being in my possession I just have too many to cover. At current time of writing The Pinball Arcade has sixty five tables in total, which of course is including the free Tales of the Ariabian Nights table I mentioned earlier. The tables differ in things I've heard of, to ones that fly right over me, but I can't deny that it doesn't offer something for everyone. For those who want big names you have tables likes Terminator 2, The Addams Family, Twilight Zone, Star Trek and Starship Troopers, those just being a few. And like I say, with over sixty five tables to choose from you honestly will find a few you will enjoy. Everyone offers something a little different, so the best way to find out what tables are for you is simply by playing the trials that are available. Overall: As a free download you don't really have any excuse not to giVe this game a look at least. While the pricing is a little bit high for the pro brackets of tables, picking up a table for under £4.00 that has had a lot of time and effort put into it seems a fair price to pay for me. - Is very expensive if going pro.